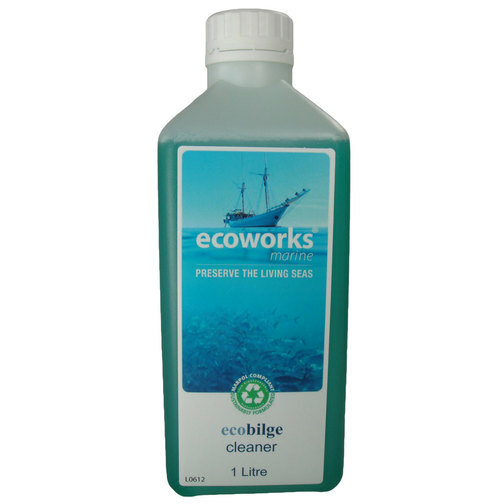 A biodegradable and environmentally safe concentrate cleaning liquid designed to disperse and remove fuel oils, engine oil, carbonated oil and grime deposits from engine bilges. A biodegradable and environmentally safe concentrate cleaning liquid designed to disperse and remove fuel oils, engine oil, carbonated oil and grime deposits from engine bilges. This boat cleaner is compliant to MARPOL Annex 5 1.7.5 and is declared not harmful to the marine environment. Rapidly penetrates the toughest oils and hydrocarbons without emulisification, leaving bilges sparkling clean. Concentrate formula for mixing meaning it will go a long way. Safe to use on GRP, wood, painted surfaces and hard plastics.